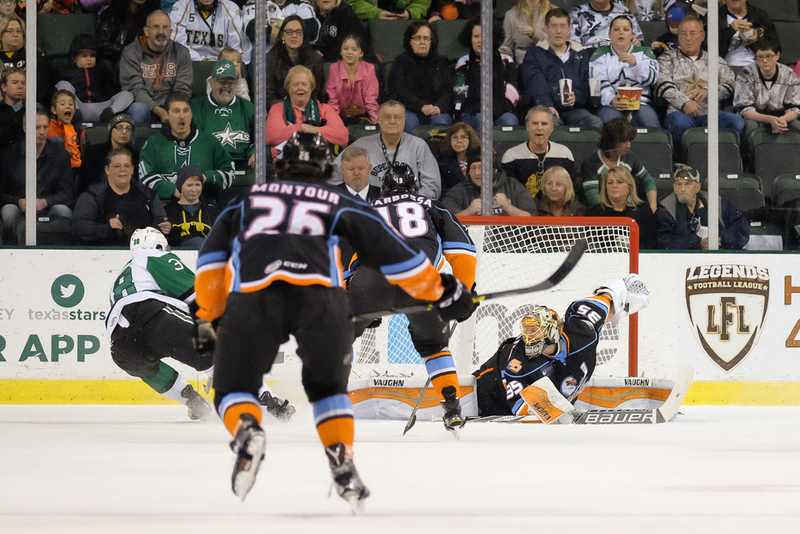 The Texas Stars closed out the year last night with a blow out win over the San Diego Gulls at the Cedar Park Center. The final score was 6-1 so there were plenty of goal scoring shots to be had. The first shot is the opening goal of the night by Brendan Ranford. The second shot is a goal scored by Jason Dickinson, who who earn the number one Star of the game. The third shot is the puck getting knocked in by Remi Elie. It was great seeing the Stars dominate the game and fans were treated to a New Year's Eve party following the win.